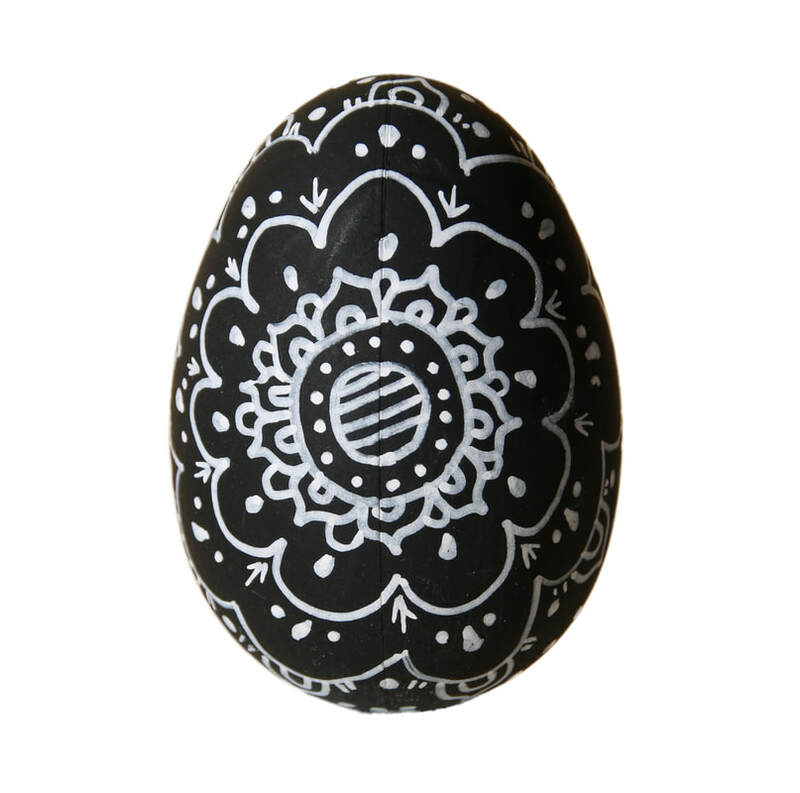 Express your creative side and calm your mind by doodling on some eggs...and they make great personalised easter gifts for anyone on a restricted diet who cant have chocolate! 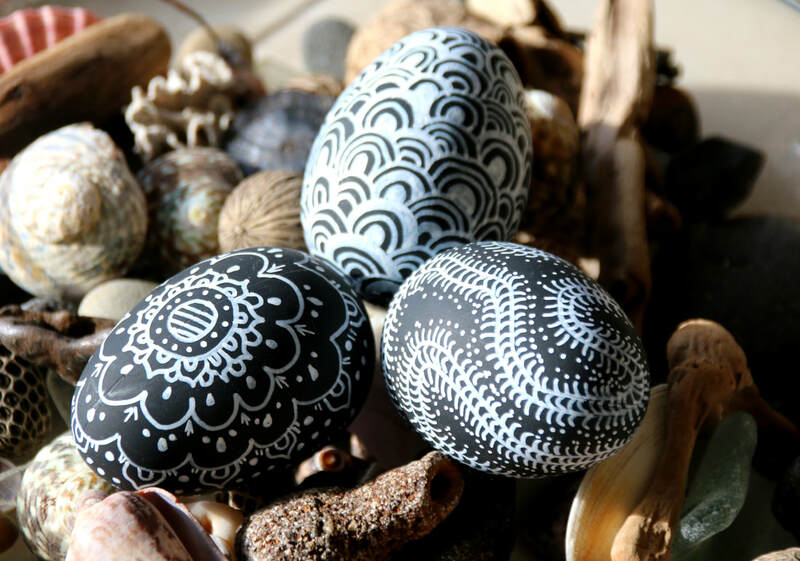 Kids can enjoy decorating the eggs too, so if you are searching for a sugar-free Easter activity then give this a go. 1. Plastic Egg(s). 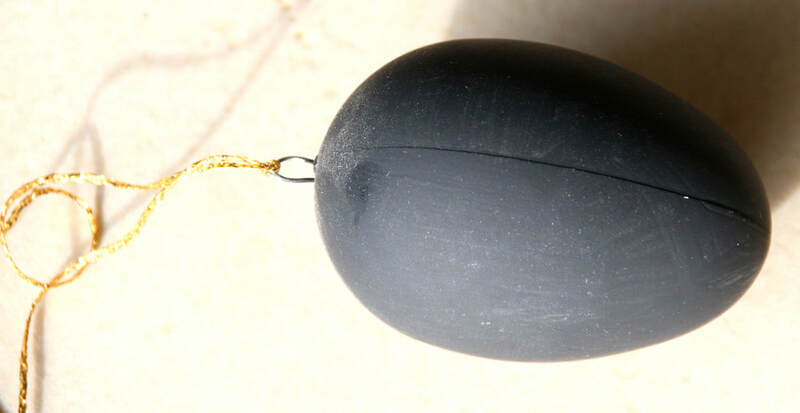 Eggs that have a removable hook in one end are best - that way you can hang them while they dry, and remove the hook if you would like when you are finished. 2. Paint. I used black chalk board paint because I like the matt finish, and the white pen dries quickly and tends to not smudge on this paint. 3. Permanent Marker. I used a white "uniPOSCA" marker. 4. 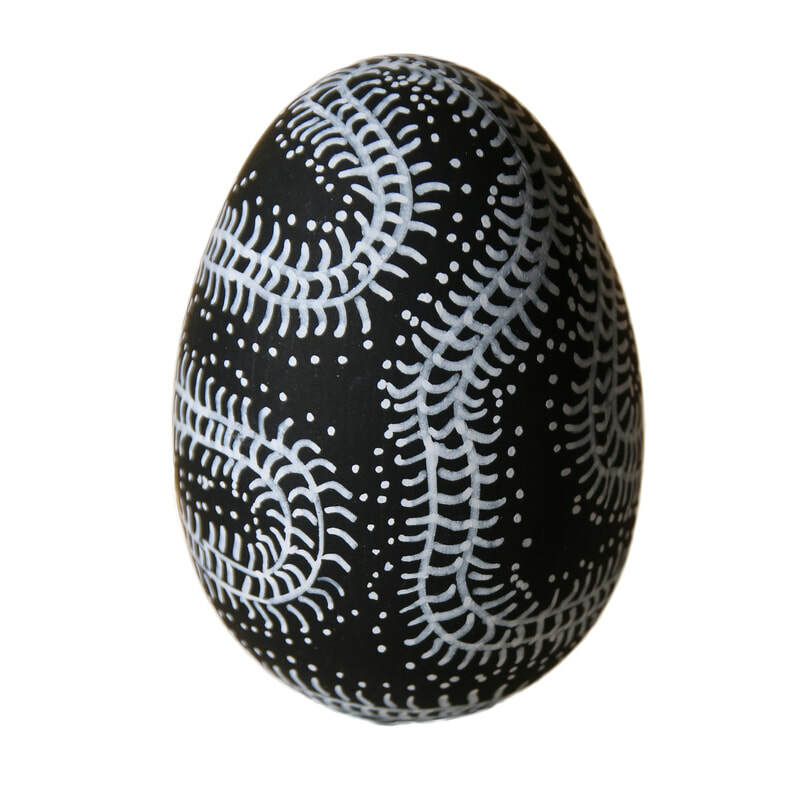 String (to hang the egg while it is drying). 1. 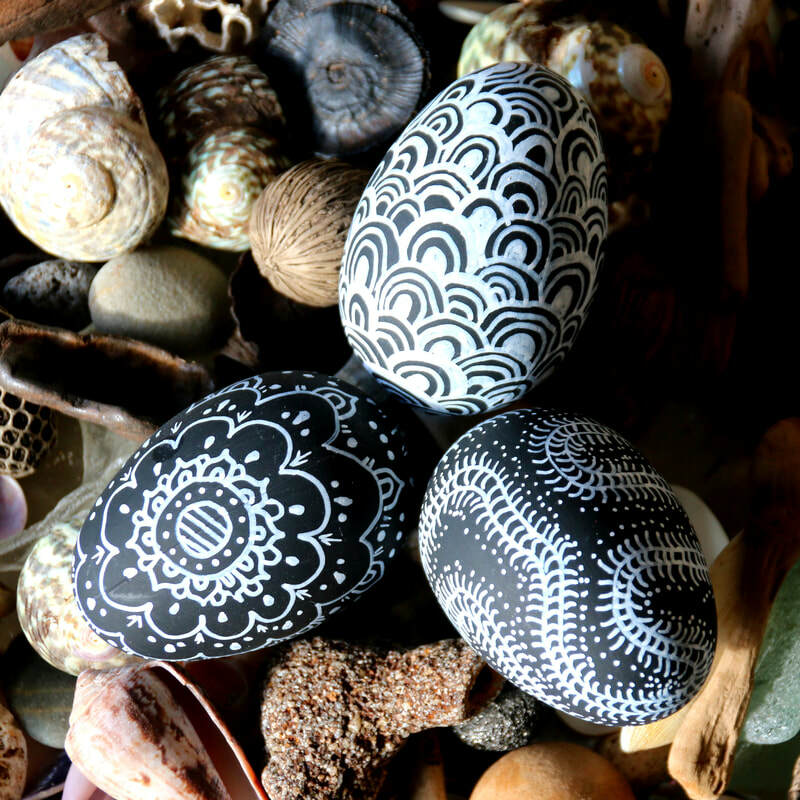 Lightly sand the plastic egg using the sand paper. 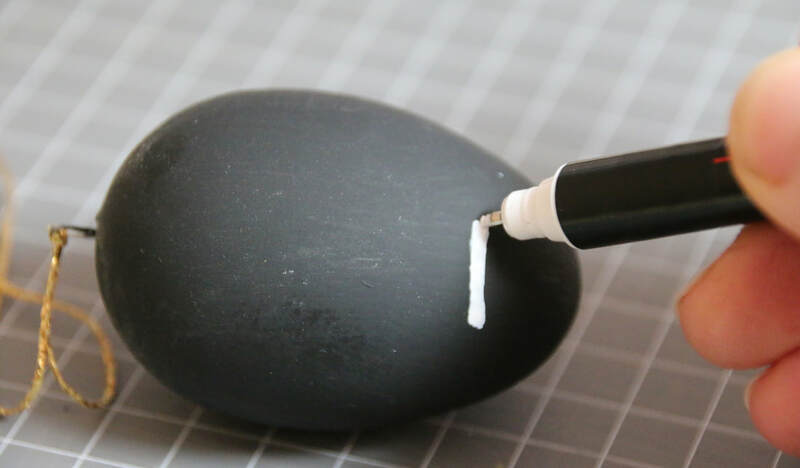 This help the paint to stick to the plastic by roughening up the surface. 3. 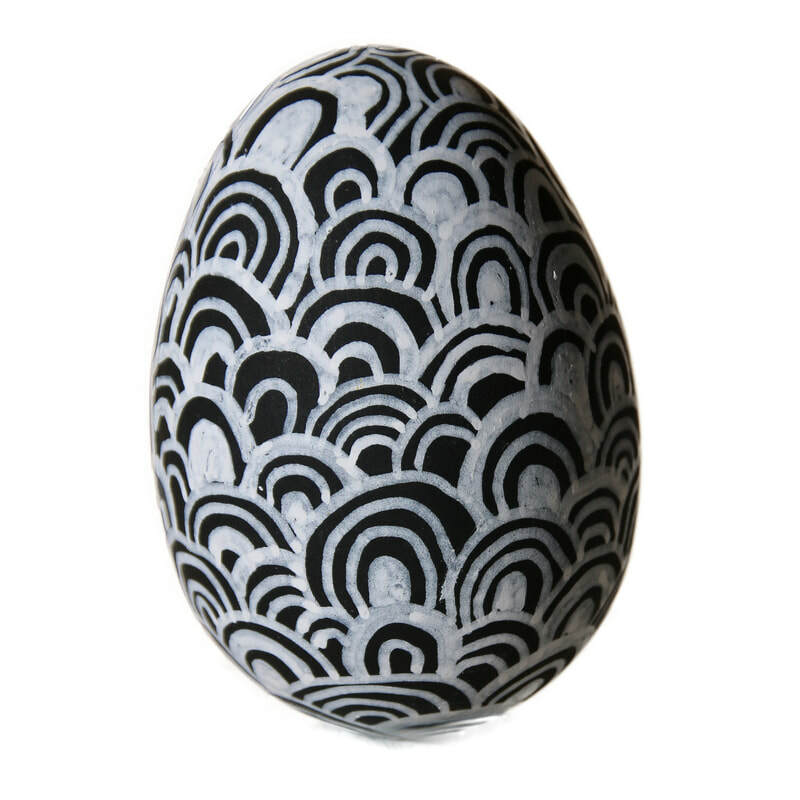 Doodle on your egg. It may be helpful to do a section at a time and hang to dry in-between, to prevent smudging.